Pain Management C-arm Tables from OR Products provide a superior design, superior component specification, and longer warranties. Below are a few points to compare to any other c-arm table. 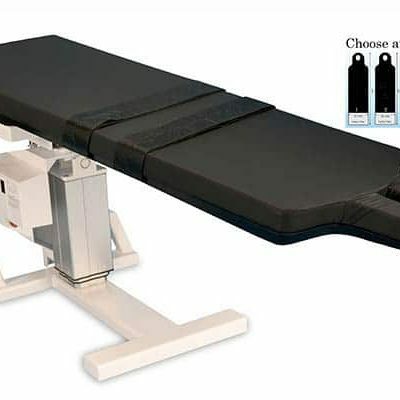 Pain management C-arm tables with the highest patient weight capacity of 650lbs. As well as the C-arm Table with lowest minimum heights – As low as 22″ that eliminates step stools creating a safer transfer process for patient and staff. C-arm Table with highest height to reduce staff’s head, neck and shoulder stress. Lowest Profile base to minimize impacts on staff’s lower extremities and c-arm x-ray tube. 4 table top shapes to choose from – no price difference. 22″ and 24″ table top widths available. 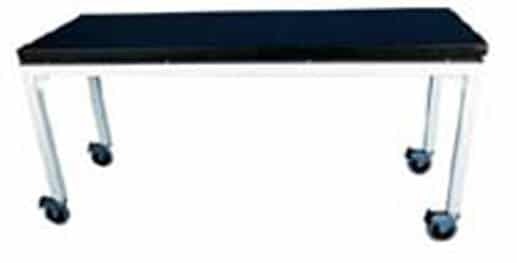 The 8000 Series Pain Management c-arm tables have a 50 month C-arm table warranty – standard. And the Biodex c-arm tables have a 48 month c-arm table warranty. In contrast, a Oakworks pain management c-arm table has a 48 month limited warranty. Meaning that they only cover the steel structure for 48 months and anything electrical has a 12 month warranty. Pain Management C-arm Table pricing. We will beat any new pain management C-arm table pricing by $1000.00.